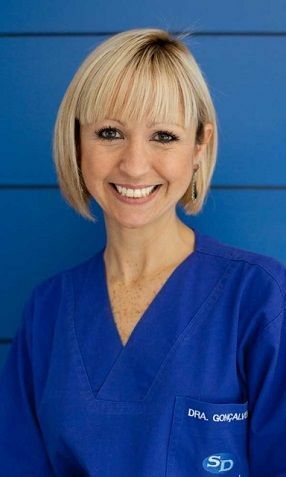 Patricia Gonçalves da Cunha, MD is a Specialist Physician for the Digestive System at the ServiDigest Clinic in Barcelona. Medical Coordinator of the Pancreas Unit at the ServiDigest Clinic. Medical Deputy Director of the Training Department at the ServiDigest Clinic – ServiDigest Foundation. Professor at the ServiDigest Foundation Teaching Centre for academic activities for the practical training programme for the university studies of Nursing, Human Nutrition and Dietetics at the University School de Health Sciences of the University of Vic (Barcelona) and the Faculty of Health Sciences at the Blanquerna Ramon Llull University of Barcelona. Degree in Medicine. Registration nº 40109 at the Official College of Doctors of Barcelona. Specialist Training on the Digestive System as an in-house resident doctor at the University Hospital Santa Creu i Sant Pau of the Autonomous University of Barcelona. Continuous training with participation and attendance of courses and the most relevant congresses on Gastroenterology, Hepatology, Pancreas, Coloproctology, Inflammatory Bowel Disease, Digestive Endoscopy. Member of the main scientific societies related to the Digestive System specialisation.